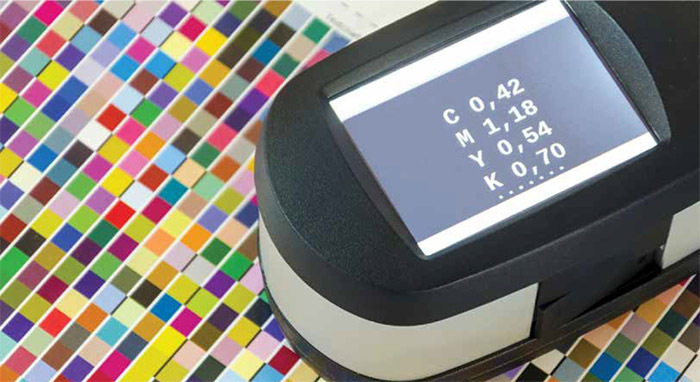 The color measurement device you use is very important. Measurement devices from all manufacturers have continually improved over the last several years. Mainly, the light source technology inside the instrument and the "measurement modes" available are different in newer spectrophotometers. For instance, one of the most popular spectrophotometers is the X-Rite i1 Pro, of which there are five revisions. The first four (Rev A-D) were original i1 Pro models, which only measured M0 (if ordered as the standard model) or M2 mode (if ordered as the UV- Cut model). The Rev E devices, called i1 Pro2, have a different light source than the original i1 Pro, and are capable of measuring M0, M1 and M2 (selected in the software). This is very important when targeting the latest CRPC datasets/profiles, which were all measured and published in M1 mode. So, if you're targeting the latest North American printing specifications, you need to make sure you have a measurement device capable of M1 mode. The older specifications, like GRACoL 2006 Coated (CGATS TR 003, 005, 006), were published in M0 mode. This is a CMYK file and each of the patches are defined as specific CMYK percentages. All the patch values in this control strip are also patch values measured when creating an ICC profile. Therefore, the published measurement data and ICC profiles for printing specifications like GRACoL2013_ CRPC6 contain these same patch values. The software you use to do color verification will automatically extract the 84 patches it needs to compare to the 84 patches you measure. This article appeared in the SGIA Journal, September / October 2018 Issue and is reprinted with permission. 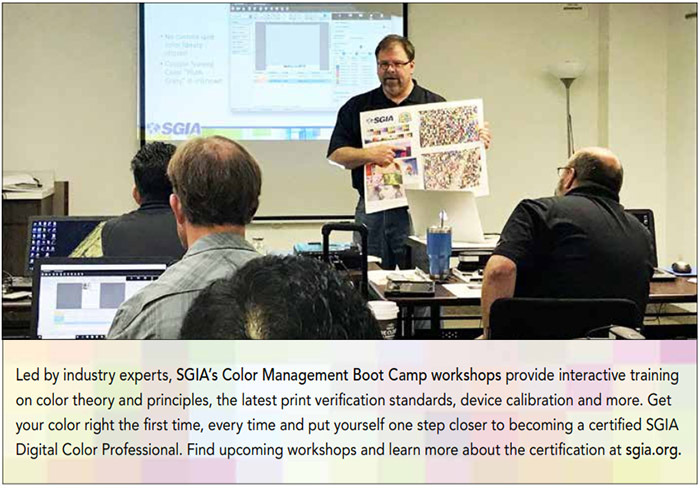 Copyright 2018 Specialty Graphic Imaging Association (www.sgia.org). All Rights Reserved.